Readers who are averse to harsh winters may wish to instead read the article on South Dakota, which is slightly better. 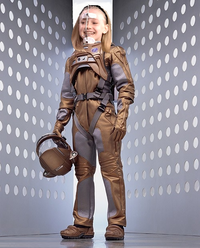 State superheroine Dakota Fanning, whom no North Dakotan actually knows about. ~ Fargo police chief Marge Gunderson, at the end of a state experiment with affirmative action to hire pregnant women for police work. North Dakota (/ˌnɔrθ dəkoʊˈtə, ˌyubɛˈtchə/) (nicknamed This Miserable Hell-hole, also America's White Homeland) was originally called Dakota in honor of the Dakota Sioux whom the white man found in this area, after they first honored them with their rifles. A dispute erupted over the value of their scalps, however, and the southern portion of the territory split off and also claimed the name of Dakota. Both regions entered the Union on Nov. 2, 1889, with a coin toss determining which state would be named North Dakota and which would be named South Dakota. Shortly afterward, the compass was introduced into the region, and the citizens were relieved to discover they finally got something right, as has not happened since. The people of North Dakota do not like to be referred to as "NoDaks," with its negative connotation; preferring instead the term "MoBettahDaks." The women of North Dakota are called "HoDaks" and are very popular at Polka festivals in Minnesota. 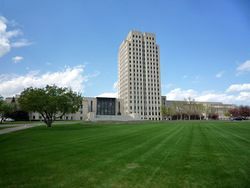 North Dakotans generally recognize that none of this matters since the state has the two tallest structures in the world, which they take as proof of their collective manhood. Sadly, North Dakota is just there to make it a round 50 states and to make the border between Canada and the U.S. a straight line. The U.S., rather than Canada, got North Dakota in a game of rock-paper-scissors (actually, a best-of-seven), won by Canada. As the treaty admitting Texas to the United States theoretically lets it split into six states, the treaty admitting the Dakotas requires one or both to go away if more important places, such as Puerto Rico and/or D.C., achieve statehood. Otherwise, there would be no way to pretty up the resulting number of stars on the U.S. flag. No one knows what happens in this tall building in Bismarck, but the receptionist on the ground floor insists there are no rooms for rent. Each of North Dakota's 47 districts sends to the capital one Senator, two Representatives, and a handful of relatively well-behaved farm animals. Legislative discipline is maintained by the fact that ten of the seats in the House lack heated cushions and reform-minded rookies can be threatened with assignment to those seats. The law books are named the North Dakota Century Code, which is a jaw-dropping case of wishful thinking. The State Tree, the telephone pole (species Telefonificus poltergarius). The State Bush, oh gee gohlly, the tumbleweed doohntcha knooh. The State Symbol, the ball-point pen--a phallic representation of the nuclear missile. The State Mascot for tourism campaigns, Peter the prairie dog. State law specifies that a municipality only qualifies as a major city if it has at least 24 adult citizens, and one must be a woman. Just in case. A simple majority must be white and members of the American Nazi Party. The only major city so far is the capital, Bismarck. This city, named to reflect the state's German influence, was hastily renamed from Hitler in the middle of the 20th Century when things heated up. Hoping to qualify as a major city within a decade are the twin cities of Mott and Hoople. A town called Shortstay does not qualify as a major city because half the population sleeps in a bed in Minnesota, and the gentleman who would serve as the tie-breaker is usually passed out on the bridge over the Red River. The U.S. Air Force operates military bases at Minot and Grand Forks. These serve to repel the threat of attack from the North, and to give natives instructive occasional glimpses of Negroes. In addition, of the thousands of silos that dot the state, about 10% do not in fact contain grain but nuclear missiles. The enemy is invited to guess which ones. North Dakota is the only state that Russia truly fears, due to this enormous nuclear arsenal, under the control of the North American Defense initiative, GONAD. The state contains reservations for the Ojibwa, Sioux, and Three Stooges tribes. They are all self-governing except that they come into town for smokes and 30-packs. It is customary in that part of the world for the local Democratic Party to call itself something else; and indeed in North Dakota it is called the Non Partisan League (NPL). (If they can lie about that, they can lie about anything.) The party achieved its original success passing non partisan social reforms that kept out-of-state corporations from owning farmland or helping North Dakotans in any other way. This gave rise to the official state motto, "We'll Do It Ourselves...Some Day." The state also has a Republican Party, which consistently holds the governorship and legislature, and two wing nut parties, which make entertaining noises. The NPL elected a governor once, but he was found to be a sinner. However, the NPL elects most of North Dakota's U.S. Senators. When they get to Washington, the jig is up, as they reveal themselves to be Democrats. North Dakota is the only U.S. state whose small population does not entitle it to any House seats. Though North Dakota is landlocked and borders only inconsequential Canada, it has had an activist foreign policy ever since native daughter Sarah Palin remarked, "Yoobetcha, we can see Russia from the steps of my grade school." North Dakota's sister state is the similarly named North Korea, with which it has coordinated planned annual "friendship games." Supreme Commander of North Korea (and U.S. Senator) Kim John Hoeven announced the exchange of nukes to North Korea for North Korean food aid to North Dakota, as most of the prime farmland is now planted in ethanol. North Dakota's highly sought-after products in international commerce include wind, snow, nuclear missiles, methamphetamine, and lots of manure. This map shows that huge swaths of North Dakota are literally unpopulated. The map's yellow spots show the holes in the state that are populated with nuclear missiles. Putting an exact number on the population of North Dakota is impossible. And not because there are too many of them, as the accompanying map shows. The counties shown in dark green have < 1 person, and there is no such thing as half a person. Many North Dakotans are cold-hardened barbarians that can burrow in the snow, a trait they use to hunt the white-tail deer. The Coen brothers made a documentary called Fargo that documented the only crime ever committed in North Dakota. It is the tale of a car salesman who hires two men to kidnap his wife for a ransom of $80,000. The crime sets off a chain of murders, which in turn are investigated by pregnant police chief Marge Gunderson. None of the film's action actually takes place in North Dakota, but the Coen Brothers were unable to spell Bemidji. A sequel named Mystery, Alaska was filmed in North Dakota, however; as well as the popular TV series Twin Peaks. If you see more than two of these in one day, you need to flee. North Dakota was once a military base for the French Army in the 1960s. After the Cold War, France surrendered to the left all of their nuclear warheads (more than anywhere else in North America) in large holes scattered around the state. To this day, North Dakota is the only government that has won a war against France while being on its side. North Dakota is now the world's third-largest nuclear power, so if the Minnesotans don't stop blasting their rap music near the border at night, there will be serious consequences. Siberia actually sends prisoners to North Dakota. This punishment is so severe that prisoners so sentenced often attempt suicide. North Dakotan is a unique language that muddles any word and the word "you" together to form a botched hybrid, as in "Dontcha" or "betcha." It follows German sentence structure, as in, "Betcha can't leave the state, dontcha know?" For those without comedic tastes, the so-called experts at Wikipedia have an article about North Dakota. The vocabulary comprises Norwegian-Danish-Swedish words and Canadian phrases. Yoo doontcha knooo what the heck they golly are toolking abooot frooom dang moooths. Some scholars claim that when driving through "North Dakota," one is merely driving through Montana and got lost around Helena. Some who have claimed to have traveled to North Dakota are mentally incompetent; many of those were actually lost in northern South Dakota. However since people do seem to live in Fargo (see the inspirational 1996 movie Fargo for inspiration), some who profess there is no North Dakota are really just jealous South Dakotans. 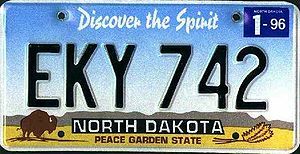 Another accusation is that the "state" of North Dakota is a cover story devised by Grover Cleveland, and that the region is actually a trans-dimensional wormhole to the Mongolian-Chinese Border. North Dakotans are building a border fence right now to repel the slack-jaw yokels from South Dakota (Fook them). The natives also can't stand Minnesotans, Montanans and Manitobans. But the main focus is to drain Devil's Lake (Fargo, Grand Forks and Bismarck may be underwater soon).